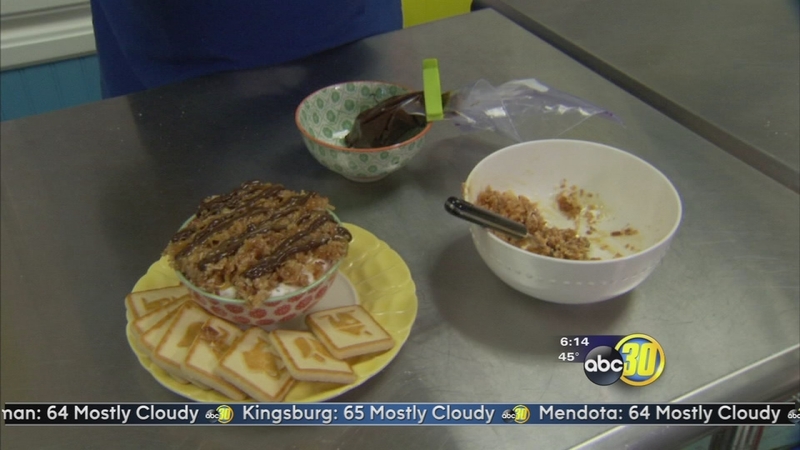 Chef Shayna has a Girl Scout inspired treat that is sure to impress everyone at your next party. Girl scout cookie season is in full swing, and that means many of us have boxes stashed away at home. In a stand mixer blend together cream cheese, Cool Whip, & powdered sugar until fluffy. Stir in crushed cookies and chocolate chips until just mixed. Transfer to a serving bowl- leave 1/4 inch from the top empty for topping. Place coconut flakes in a thin layer on a baking sheet lined with parchment paper. Place in oven at 350 degrees for 6 min. Keep a close eye on it so it doesn't burn. Remove from oven and transfer to a bowl. Stir in caramel until coconut is fully covered. 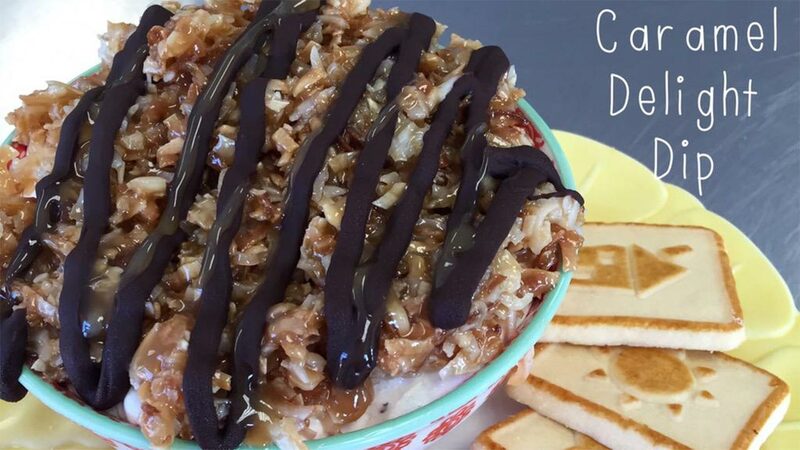 Press cooled coconut caramel topping on top of dip. Drizzle on melted dark chocolate. Let chip in fridge for 30 minutes and serve.